Accesa Health offers healthcare services in Torrance, California. 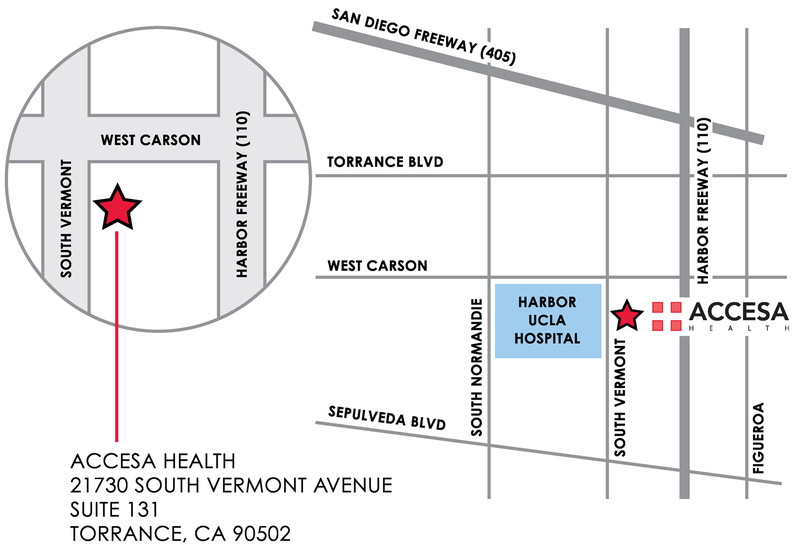 Accesa Health offers a variety of wellness and healthcare services at our location in Torrance, CA. We provide high-quality B12 shots & lipotropic injections and IV vitamin therapy through our Myers' cocktail program. We also offer premium medical weight loss clinic services under the guidance of board-certified doctors. Please click the map for directions. Please call us at (310) 606-3877 if you have any questions.